A snobby high school cheerleader turns to Pepper and Longstreet when her father dies. A promised special inheritance has been lost due to a fire. Can Pepper and her mysterious sidekick find the clues needed as they sift through the ashes of this girl's life? Pepper Jones just can’t help it. Even driving to work leads her into a mystery. 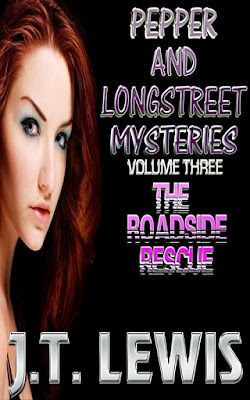 Pulling over to help a woman acting crazy, she is immediately thrown into a life and death situation with her mysterious partner Jacob Longstreet. 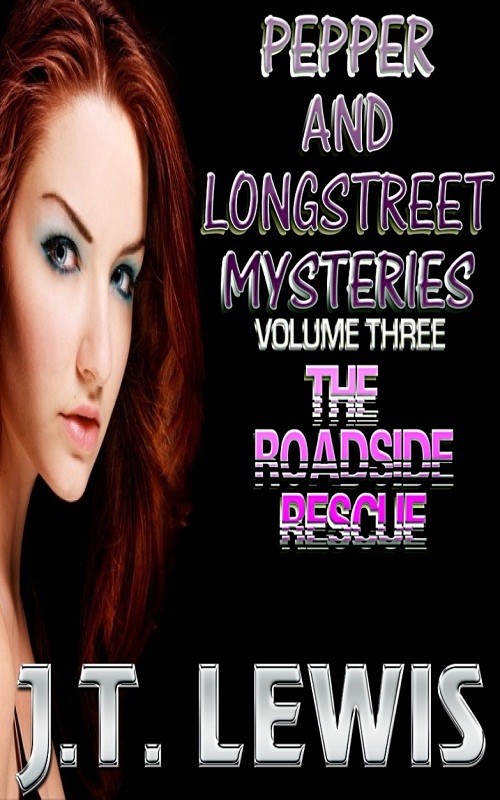 Racing through the woods at full speed, will they find a missing child before it’s too late? After that, a little-known classmate seeks Pepper out after discovering her grandma’s house is haunted. Pepper has never been a ghost hunter, but she finally agrees to check it out. Coming face to face with the spirit in the house is the scariest thing Pepper has ever done, but is everything really as it seems? Sixty seven years ago, the Fourth Street Bank was robbed and the assistant manager murdered. The money was never recovered, and their only suspect disappeared into thin air. Everyone knew that he did it…except his family. Pepper has been hired to clear his name, but that leaves her with another big problem…finding the real robbers. 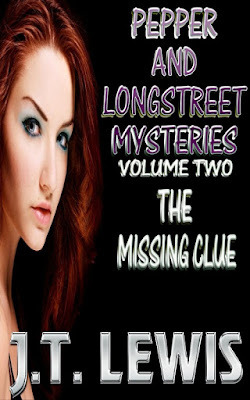 Pepper Jones and her unusual partner Jacob Longstreet take on the ultimate cold case…one whose clues they will have to dig up in the last century. JT Lewis is the author of the new YA series, Pepper and Longstreet, exciting mysteries that hearken back to the old Hardy Boys and Nancy Drew mystery series. Also check out his mystery/suspense novels…Murder! Too Close To Home and Gabriel’s Revenge. 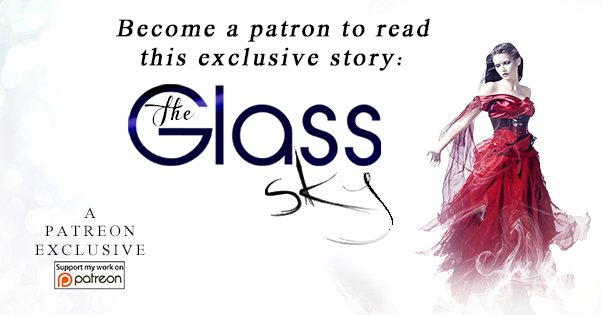 Alexia, Thanks so much for spreading the word about this series. I am hooked on it! My grandbaby, who just turned 16 today, is also hooked on it. Pepper and Longstreet is the only thing I can get her to read. Great job, JT! Keep them coming! Off to spread the word!